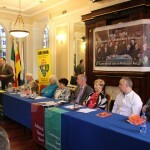 It was a great honor for the Anti-Globalization Movement of Russia to attend the annual 111 conference of Republican Sinn Féin, the organization which has represented true republicanism and preserved the best traditions of Irish struggle for independence, sovereignty and self-determination since 1905. 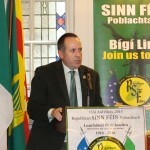 The republicans were the only who didn’t accept the illegal partition of Ireland in 1921 and treacherous policy of collaborationist official government, and nowadays they are in fact the only power in Ireland which offers a political, socio-economic and cultural program for the better and decent future of the Irish nation. 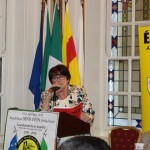 The Anti-Globalization Movement was invited as a fraternal delegate to attend the conference and extend solidarity to all members and the Head Office of the party in their courageous political campaign for the withdrawal of all British forces of occupation from Ireland and the establishment of a new socialist-democratic and federal All-Ireland Republic. 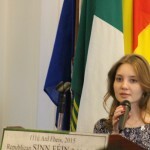 Unfortunately, during the process of preparations for the conference, we had to realize that Ireland (even not to mention six occupied counties) has been under total control of the British government, military forces and intelligence. While completing the Irish visa application form, every applicant has to consent to allow his personal data to be delivered to the United Kingdom Home Office which is responsible for the Security Service (MI5). 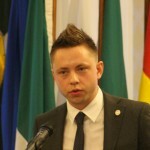 That was told by our delegate at the conference to testify how complicated situation in Ireland is. 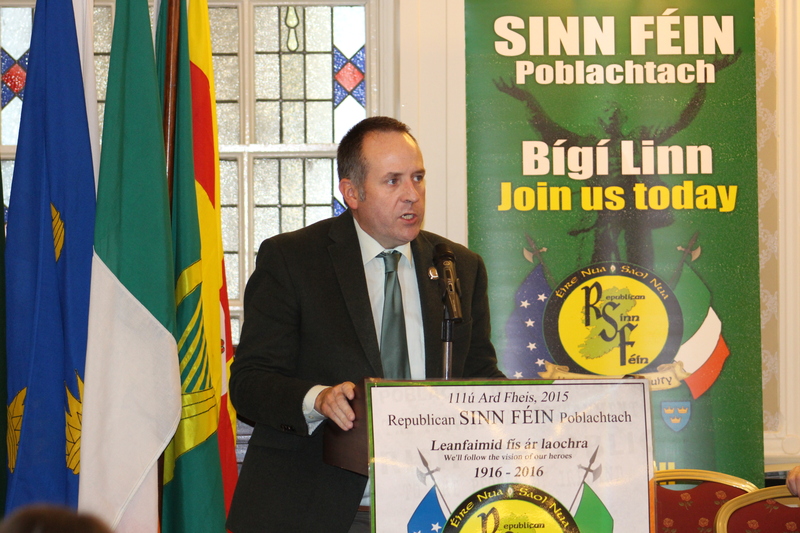 This sad truth should encourage Irish republicans to become more determined in their decision to get over with the shameless status of illegally occupied territory. 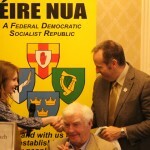 The conference itself took place at Wynn’s Hotel in Dublin on the 21-22nd of November. 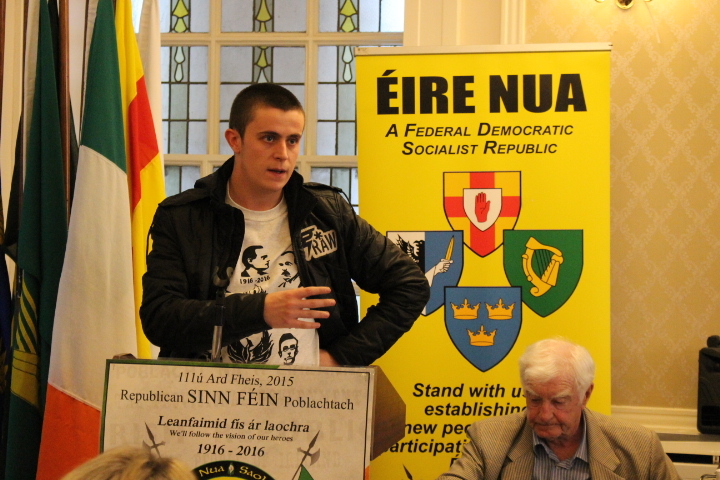 The event attracted members and supporters of Republican Sinn Féin from different parts of Ireland, England, Scotland, Europe and Russia. 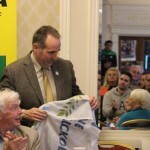 A lot of attendees actively joined the discussions on various political, socio-economic, international affairs questions; some of them delivered powerful and impressive speeches concerning especially complicated issues like treatment of political prisoners in jail and upcoming commemoration of Easter Rising 1916. 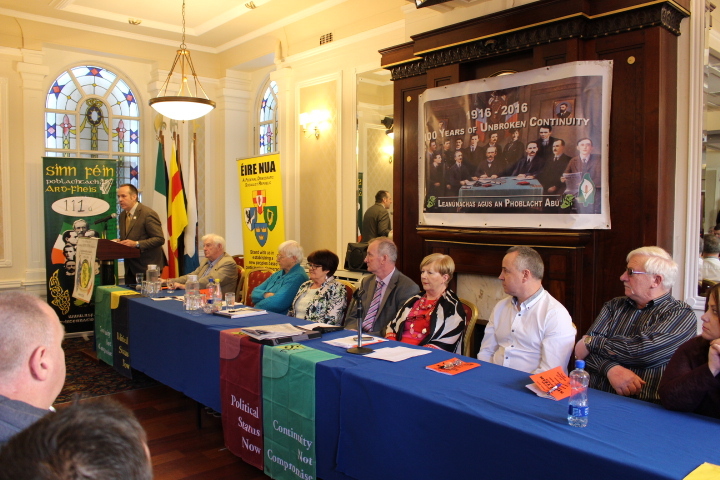 The attendees were greatly impressed by the speeches of the representatives of the Head Office, including that of the President Des Dalton and General Secretaries Josephine Hayden and Lita Campbell, as well as of the young Irish generation from Na Fianna Éireann and former political prisoners. 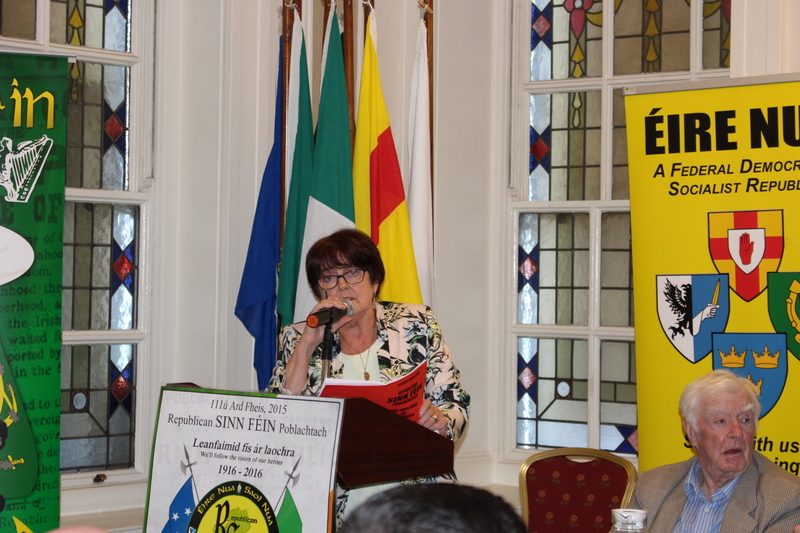 On the second day of the conference, on the 22nd of November, a representative of The Anti-Globalization Movement of Russia was provided an opportunity to extend our solidarity statement to all members and supporters of Sinn Féin Poblachtach. 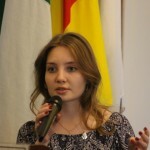 First, a few words about the Movement and its activity were said. 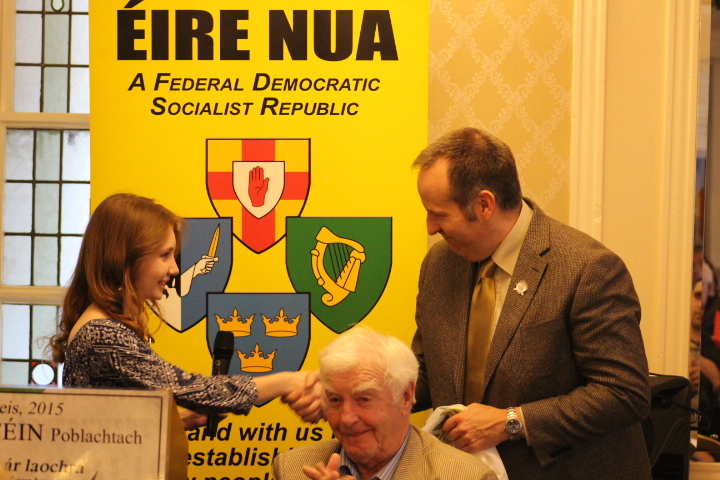 Then our representative made a statement about our gratitude for having been given a possibility to attend the conference and express our deepest respect for the Irish patriots and our willingness to support them both morally and actively. 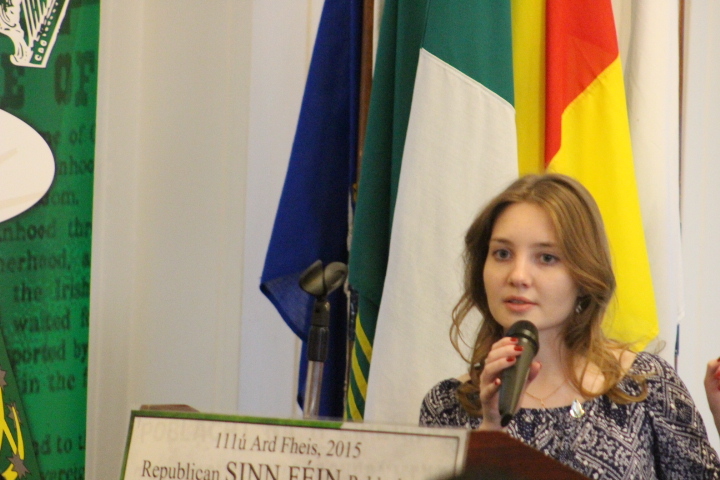 Also, we decided to address to young generation of Republicans who are responsible for the future of their homeland and who need to take the initiative and get over with the occupation once and for all. 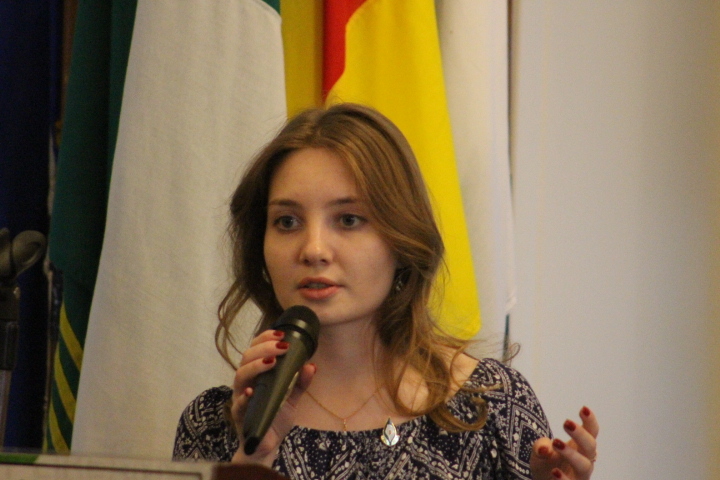 The speech of our representative was very warmly accepted by the attendees. 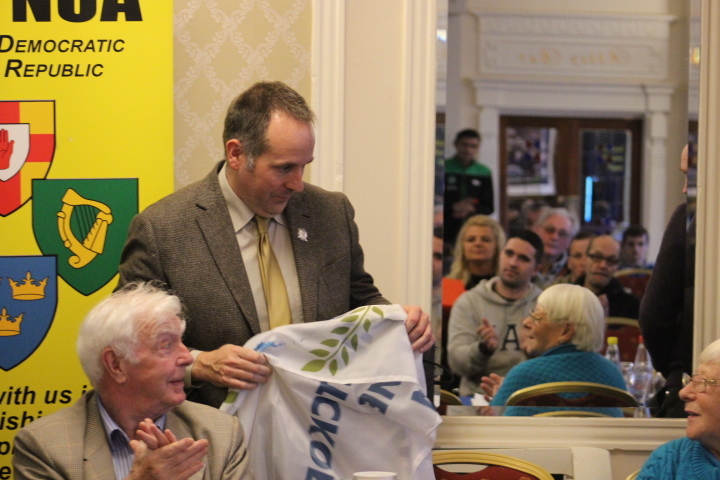 After the speech the flag of The Anti-Globalization Movement was solemnly handed over to the President of Republican Sinn Féin Des Dalton. 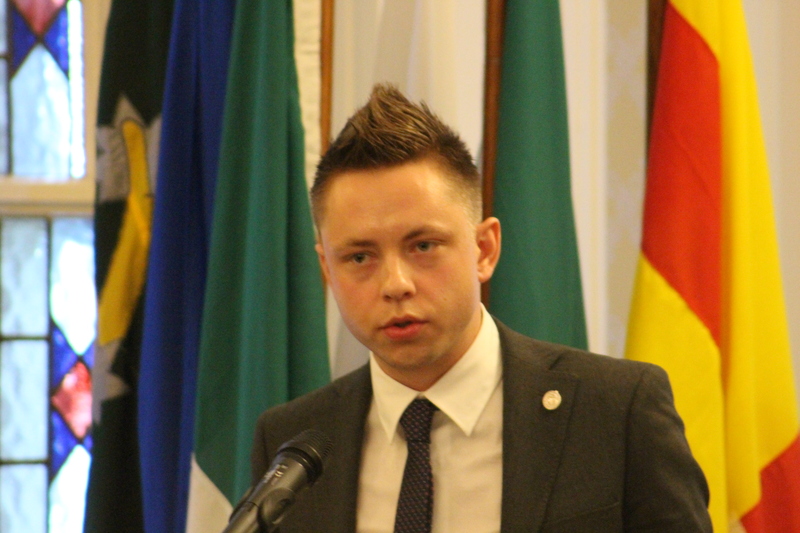 At the moment we are expecting to sign the agreement between our organizations in pursuit of establishing longstanding and mutually beneficial cooperation, as well as friendly and trustful relations between Russian and Irish people. Together we will win! Вместе мы победим! 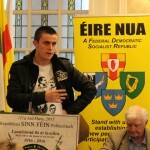 Le cheile beir bua!